The influx of incredible restaurants, bars, gastro pubs and all round awesome new businesses and services in Liberty Village hasn’t slowed. If anything, it feels like there has seldom been a week in recent months when we weren’t excitedly welcoming or hosting a new opening in our neighbourhood. If it is good, they will come. That’s how we explain it all to ourselves at least. We’re admittedly partial to our friendly, conveniently located, charming, bustling, unique neighbourhood, but in our mind’s eye, our population growth in Liberty Village and the great new businesses opening in our neighbourhood mean that Canada sees Liberty Village the way that we do, as an incredible place to live, play and work. 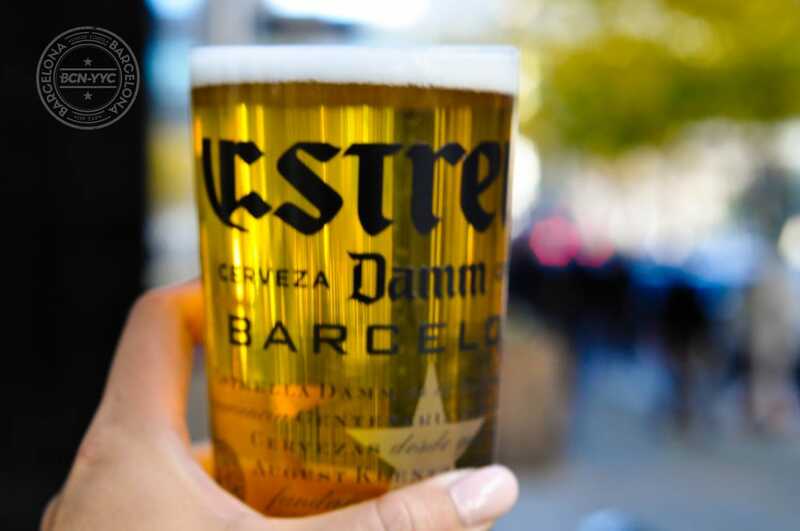 We are especially excited to tell you more about the soon-to-open Barcelona Tavern that will open its first location outside of Calgary in Liberty Village in a few months! Being a part of the Liberty Village community in Toronto is a singular experience and we know that you’ll love it here, Barcelona Tavern. Welcome to your new home! If you have made the trek out west to Calgary before, you may already know of Barcelona Tavern. They’re a Mediterranean restaurant with a whole lot of deliciousness on their menus and on tap. The food is inspired, the drinks are always flowing and the ambiance always feel fun and welcoming. They’ll definitely fit right into the Liberty Village dining scene. There are lots of delicious surprises on the way from Barcelona Tavern’s new location in Liberty Village and we’re sure that you’re anxious to know more about what makes them stand out from the crowd. Here’s what we’ve learned about this wonderful restaurant and why we’re very excited for them to open in Liberty Village. 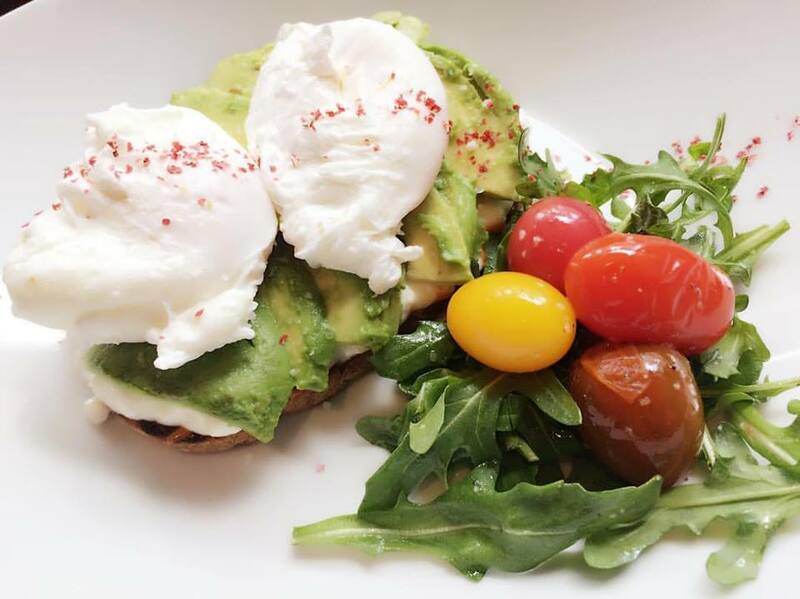 Barcelona Tavern offers refined comfort food at its absolute yummiest. In our sit-down with them, we learned that Barcelona Tavern offers “very chef-driven food”. With every dish that you enjoy at their restaurant, the ingredients, the plating and the final touches are brought together in orchestrated harmony by their chefs for an end result that is simply perfect. Their Mediterranean menu offers a host of dishes that you will may already be familiar with but at Barcelona Tavern they are elevated and always mouth-watering. Like most people who have dined at their restaurant, we anticipate that you’ll fall head over heels for their signature dish –paella. It comes in three delicious options: seafood & chorizo, pork belly and chicken and seafood skillet. Choosing a favourite of the three might prove to be an impossible task. They are phenomenal! Tapas are also stars of the show at Barcelona Tavern. Tapas are well-known in Spanish and Mediterranean cuisine and are often enjoyed in bars and restaurants as appetizers. They can be hot or cold and, at Barcelona Tavern they are always spectacular. Expect to share a few plates with friends or your dining companion when you visit the Tavern. There really is a wide range to choose from so it would be impossible to describe them all in detail. Just to give you a peek though, there’s a Lobster Ravioli Tapa made with butternut squash puree, chardonnay cream and tarragon olive oil or, you could try their Parmesan Truffle Frites with aged Sherry Grana Padano Aioli. The Roasted Cauliflower with garlic confit and marcona almond red pepper romesco will make a tapa-lover of anyone while Barcelona Tavern’s Fried Manchego Tapa with tempura, panko-crusted manchego and chorizo oil is a perfect experience for the palate. And really, that is just a peek. There are more than twenty to choose from on the Barcelona Tavern menu so bringing along a few friends for your first outing to their new location will be a great way to try a variety of these incredible dishes. If you enjoy really hearty food, the next course – their main menu options— will make you very happy! 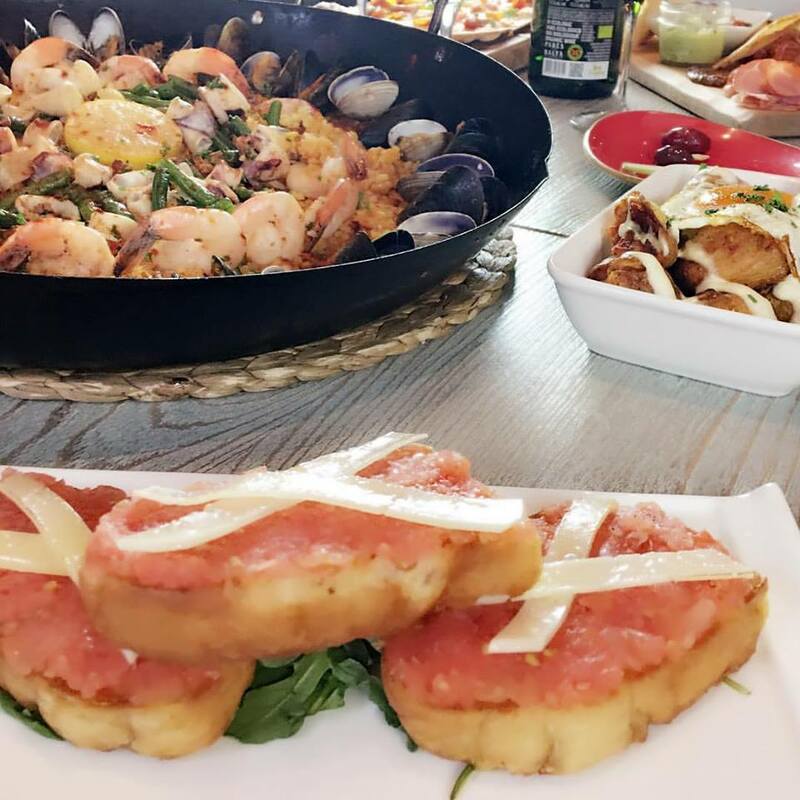 In addition to their deliciously famous paella, there are also a host of beef, steak, fish, chicken and other main course items and sandwich options on Barcelona Tavern’s lunch and dinner menus (and also their breakfast and brunch menus). We promise you, you’ve never enjoyed anything like them in our neighbourhood, and you definitely won’t be disappointed. You will love their Messi Burger that contains 80z of Wagyu beef, aged provolone and, what can only be described as, “the fixings”. 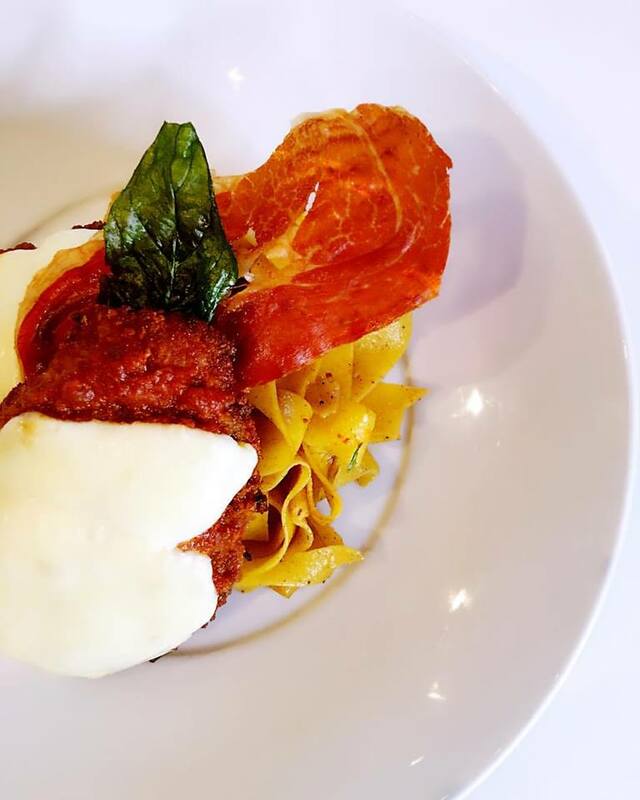 The Meatball Bucatini are veal meatballs with goats cheese, mozzarella, bucatini noodles, tomato sauce, gremolata and a whole lot of mouth-watering yumminess! Ay caramba! There are also several incredible pizza and salad options to choose from and enjoy! Finish a perfect meal with selections from their churro bar (yes, you read that correctly). Delicious, delightful churros! There’s no way to go wrong with their classic, apple pie and smores churros! And no tavern would be complete without great drinks. 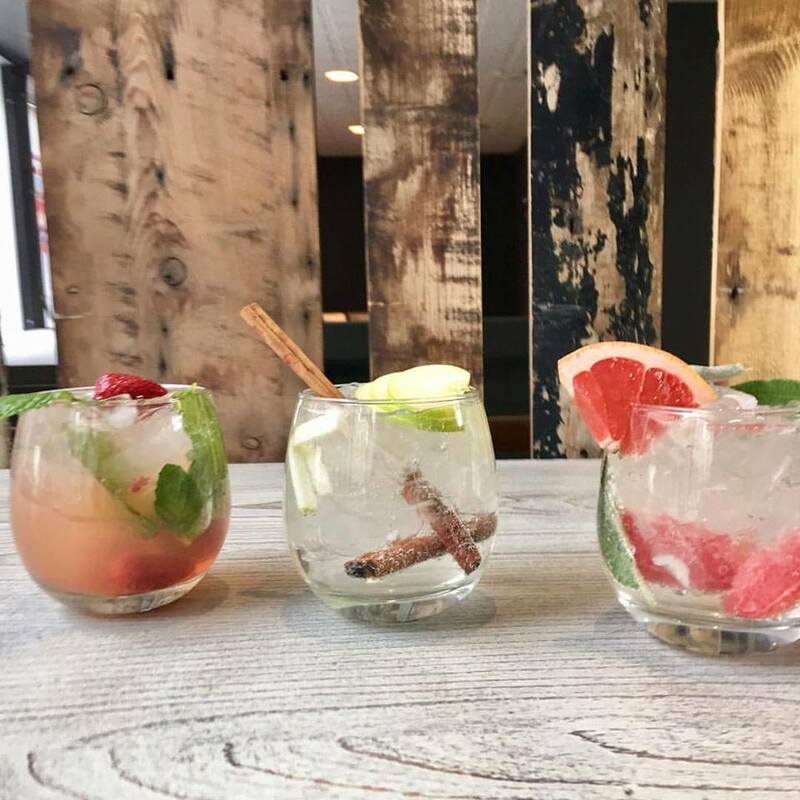 Enjoy everything and anything from smoooooth as silk chef cocktails to choice selections from their extensive wine list to an amazing gin and tonic. We’ll drink to that! Barcelona Tavern is all about bringing the lifestyle of Barcelona to the Canadian dining scene. The amazing nightlife, their love of food, cocktails and socializing are all qualities that are built into Barcelona Tavern’s name and history and they’re bringing it all to Liberty Village! This new location (and, have we mentioned that it’s the only one to open outside of Calgary?) is giving us all the feels! When we asked how they came to choose Liberty Village for the new location, we were told that it was because of the diversity of our neighbourhood and how well that fits with their brand. With everything we’ve learned about Barcelona Tavern, we feel that we may have chosen you too! Barcelona Tavern’s Liberty Village location is set to open in late summer/early fall. That means that there’s still some waiting to do but it will be well worth it! And when they do open their doors in our neighbourhood, you’ll be able to enjoy all the delicious dishes that they offer through take-out, offsite caterings, group bookings and of course, dine-in service. Barcelona Tavern, Liberty Village can’t wait to welcome you home! For more about information about Barcelona Tavern, visit them on Facebook, Twitter or on their website.